There’s nothing we love more that seeing our guests enjoy their stay at Kiawah Island Golf Resort. Whether it’s a gorgeous sunset, a dolphin encounter on a kayaking excursion, or a special anniversary meal at The Ocean Room, your experiences are what make our story special. We encourage you to interact with us online! Please tag us @KiawahResort on Facebook, Twitter or Instagram, and make sure you use #KiawahResort in your posts! If you're looking for that extra level of luxury on your next vacation, we recommend this gorgeous home rental! Located near the Eastern most tip of Kiawah Island, this 5 bedroom Premier Home includes an infinity pool and views of the Ravenel Bridge! 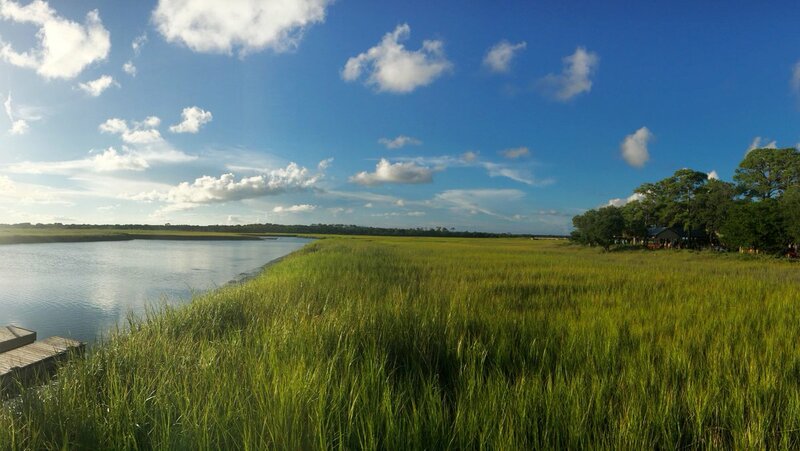 Where is your favorite place on Kiawah Island to take in nature’s beauty? The Sanctuary Hotel is decorated, brunches, banquets and baskets are being prepared, and the sunrise is awaiting parishioners and yoga salutations! @Turfgrass_94 @JClevenstine02 @TNgolf We look forward to seeing you on the course!